After seeing the beautiful LG Synthesis phone, nothing can charm us any more, unless there’s a NEC slider ready to make our day. Witness this yet unnamed and mysterious handset below, showing a bunch of multimedia features like audio (surely video, too) playback. Is that a touchscreen display in there? 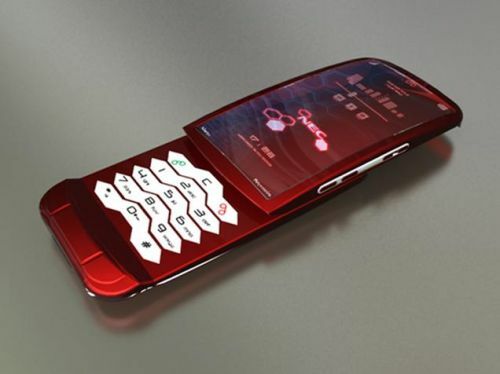 Someone told me that this phone looks like a red lobster… Yes, I guess it does, but it’s still hot! 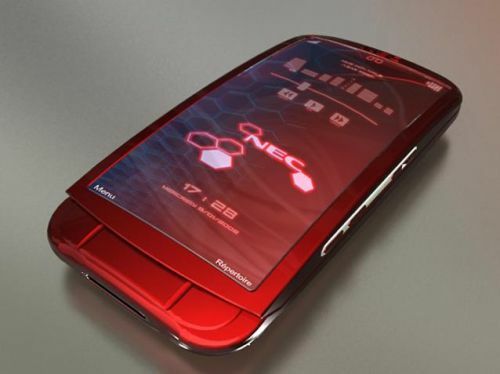 The NEC concept handset was designed by Slyer, a Productdesignforums user.